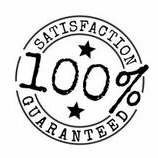 We offer a complete happiness guarantee to remove all of your risk of doing business with us. We get your concerns. What happens if the colour is off? What happens if I ordered the wrong size? What happens if it's not as expected? Let us remove all of the risk for you. We check and proof each image individually before printing and catch issues that would go unnoticed with automated software. We check for print brightness, colour, dust spots, banding, editing issues, sharpness, noise, aberrations, level horizons, or anything that affects print quality. We will adjust these issues, or if you selected no edits, then we will let you now immediately. No surprises. We will collaborate with you, if you prefer, to ensure prints are exactly as you envision them. We can do this in person, or by email. We hand pick and offer only the highest quality archival papers that are hand selected directly by the founder, who is an experienced exhibiting photographer, and MPI designated master photographer in fine art. If you are not beyond totally happy with the print quality, we will fix the problem and reprint it for you. Come in to our location, and you will get to see and approve the corrections before reprinting. If you are not local, or can not make it in, simply circle any problem areas on your print with a pen, make notes on it, we will pay for the shipping to have it returned to us, and we can then use the notes and circles to correct the issues. Is shipping it back for free too much hassle? Then do the same, and take a picture of it and email it to us instead. *we do require proof that your print is no longer usable if you do not ship it back to avoid abuse of policy. If you need to return anything to us for warranty or reprint purposes, we will provide you with free shipping via UPS if you are not able to come to our location in person. The products we offer come with a lifetime guarantee on materials. If there are ever any issues, we will simply replace any defects, without hassle or delay. *Exclusions - Prints are required to be behind UV protective glass, or laminated with UV protective coating in order to have a guarantee. All prints behind UV glass, and all canvas are guaranteed for life, and we offer a reprint guarantee to put your mind at ease on all UV protective options. You have our back by doing business with us, and in return, we have your back when it comes to the products we offer, not just in the short term, but for the long term. For any issues what so ever, please do not hesitate to contact us, and we will find a solution for you, period! Our products and services are meant to bring you pure satisfaction, and if that goal is not met, then we will fix it.